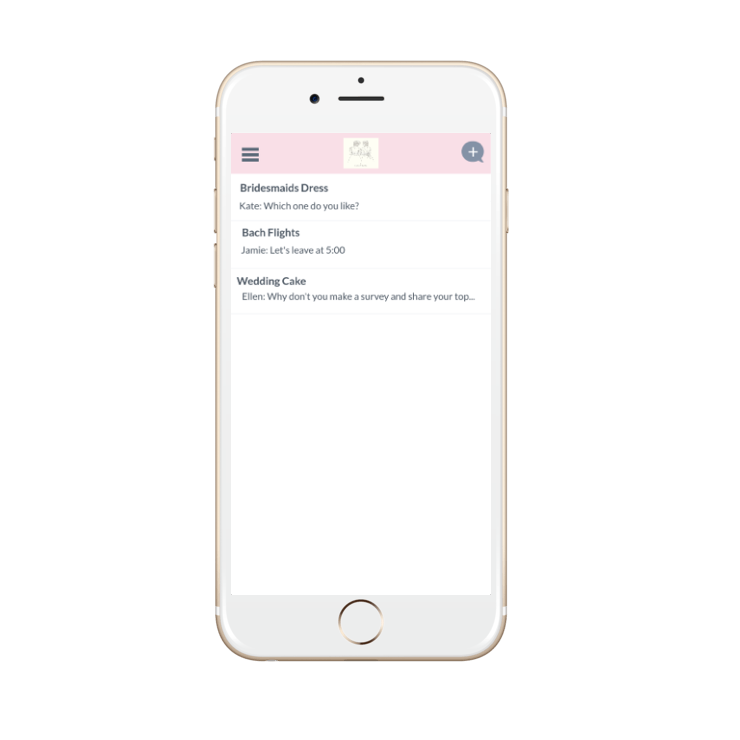 BrideGuide is a mobile app that enables brides to collaborate with their family and friends during their wedding planning process. The founders were both in the midst of planning their own weddings and their frustrations coordinating with family and friends heavily inspired their initial concept. Based upon their own experiences, the clients believed that the solution was a tool that enabled brides to coordinate amongst different people. My design team set out to to find out if a coordination tool was really what users needed. Our design team conducted extensive user research with brides at different stages of their wedding planning process to understand what tools they were already using. Since the app was in early stages of development, seeing if the client’s concept itself aligned with user needs was important. Ultimately, there were two aspects of planning that brides needed the most: organization of tasks and collaborating with friends and family. We realized that BrideGuide would not have a strong value proposition if they solely focus on just one of these user needs. The existing product only addressed the user’s need of collaboration with friends and family. However through our user research, BrideGuide did not offer anything different than current collaborative tools that brides were already using such as email, Google sheets, and WhatsApp. 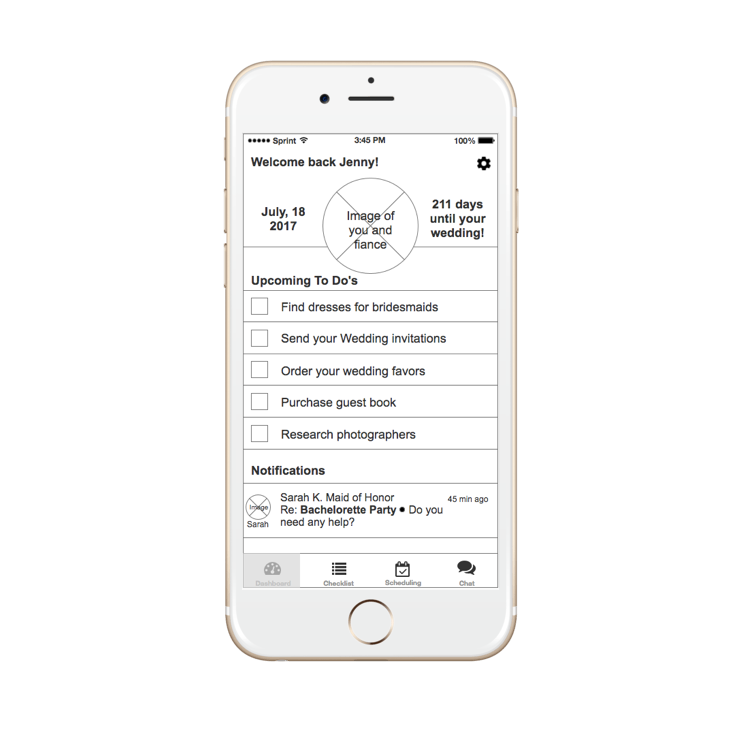 Our competitive research also indicated that there were a myriad of wedding planning apps for organizing tasks. In order for BrideGuide to stand out in the market, we needed a way to bridge the gap of both of these needs into one product. Home view of the existing product. Proposed wireframe of the home view. Want a more in-depth look? Full case study coming soon.